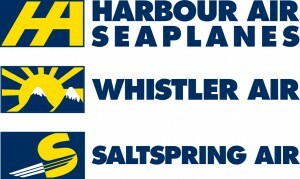 PRESS RELEASE – Vancouver, BC (May 6, 2011): After five years of preparation, consultation and construction, vancouver Harbour Flight Centre (VHFC) seaplane terminal will open for passenger service on May 25th. VHFC’s first two partner airlines will be offering initial scheduled service from Vancouver Harbour to four destinations: Nanaimo, Tofino, Sechelt and Gabriola Island with service expansion to additional destinations anticipated shortly including Victoria, Salt Spring Island and Pender Island. Seair Seaplanes, with 31 years of experience as one of the largest floatplane operators in Canada, will begin scheduled service as of opening day. A second operator, to be announced next week, will also begin service on May 25th. “VHFC is a world class seaplane terminal designed to be an open access facility, bringing a higher level of service and new flight options to business and leisure travelers. We are extremely happy to welcome two experienced and reputable operators to begin service to the Gulf Islands and Vancouver Island on our opening day,” says VHFC Chairman Graham Clarke. Both operators signed on with VHFC following almost a year of due diligence process. Peter Clarke, owner of Seair Seaplanes, the second largest float plane company in British Columbia who has been offering scheduled and charter services out of the Vancouver Airport Seaplane Base for over three decades says he welcomes the opportunity to also provide scheduled service for passengers from Vancouver Harbour.